I decided I'd write a book for grown-ups--a thinking-woman's romance that dealt with real issues, had believable characters, a yummy hero, but no easy answers. I made my heroine--as a matter of principle--47. This was suicide in terms of finding a publisher, but I didn't care--I was writing to amuse myself. Don't you want to read that book? Now? It's downright refreshing. And intriguing to boot. In short, I was all over it. 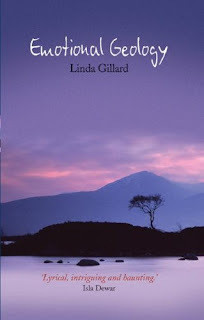 Rose Leonard came to the windswept island of North Uist off the coast of Scotland to be alone. After recovering from a breakdown, spending time in a mental institution, time talking to psychiatrists, time adjusting medication dosages, she made the command decision to go away. Away from the past, from the pain, even away from her somewhat estranged daughter Megan, and try to recapture her creative drive. As a textile artist, she thrives on inspiration and she hopes this remote yet stunning location will simultaneously feed that need as well as shelter her a bit from the daily reminders, anxieties, and pressures that so often threaten her. Living in a almost completely bare cottage in a tiny village, she sits at her table and gazes out the window to the water and she breathes in and out. She writes letters to her daughter explaining her choice. And slowly she ventures out to meet the locals. Through a kind neighbor whom she develops a friendship with, Rose encounters Calum Morrison--a high school English and Gaelic teacher who used to live in Edinburgh, but who became fed up with city life and returned to his home to teach and climb. A friendship develops as these two passionate people talk about art and writing and the world around them. It is when Rose's daughter Megan writes to say she's coming to visit that the precarious tightrope walk Rose has been engaging in threatens to come crashing to the ground. The past, with all its horrors and indecencies, is on its way, is ready to move right back in with Rose. And when it does, the life she worked so carefully to fashion may not be able to stand the onslaught. I talk to the island. I don't speak, but my thoughts are directed towards it. Sometimes it replies. Never in words of course. I miss trees. You don't notice at first that there are hardly any trees here, just that the landscape is very flat, as if God had taken away all the hills and mountains and dumped them on neighboring Skye. But eventually you realise it's trees that you miss. In the hospital grounds there was a special place where I used to stand, where I went to feel safe. It was my magic circle, my fairy ring. There were three slender pine trees in a triangular formation, only a few feet apart. I used to stand within that space, sheltered, flanked by my trees, like a small child peering out at the world from behind grown-up legs. Once, when the air was very still and a brilliant blue sky mocked my misery, I stood between my trees, head bowed, not even able to weep. I placed my palms round two of the tree trunks, grasping the rough bark. I begged for strength, support, a sign. Anything. My trees moved in answer. Quite distinctly, I felt them move. As my palms gripped them they shifted, as the muscles in a man's thigh might shift before he actually moved. The movement was so slight it was almost imperceptible, as if their trunks were flexed from within. I knew then that the doctors were right, I was indeed mad. I threw up my head and cried out. Above me a light breeze played in the treetops, a breeze I had been unaware of on the ground. It tugged at the branches with a sudden gust and I felt the trunks flex again, bending to the will of the wind. Rose is such a frank narrator. And she's dealing with serious and prolonged mental illness, so that is really saying something. Ms. Gillard skillfully allows the reader into Rose's inner struggle to stay still, to stay in one piece and moving forward. Being bipolar, she is at times woeful, angry, elated, and utterly lost. But she never felt unapproachable and the fact that everything was laid bare made me feel a close kinship with her, despite the fact that I have not encountered the challenges and trauma she was up against. Once again, as in Star Gazing , the attacks of hopelessness and grief are just delightfully balanced by the breathtaking relationship that grows between Rose and Calum. He is several years younger than she and that point becomes a bit of a sticking one for the reserved Rose. Calum is bothered by it not at all and his sweet and persistent forays into her personal space brought a smile to my lips over and over again. The way their work brings them together and forges a bond between them that overshadows less important concerns such as age and experience, enriched the connection for me and formed a bright point of light when their individual pasts came knocking. I would be remiss if I did not mention the vast and glorious third main character in this novel. And that is the Scottish landscape itself. 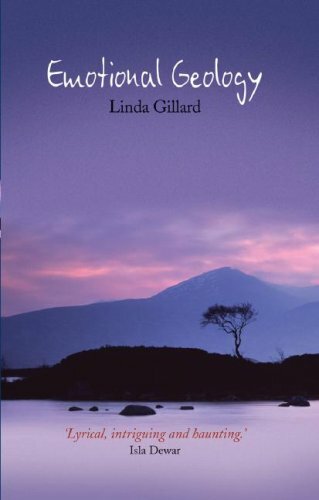 I've been dreaming of Scotland for the past several nights and I have this book to thank for it. The wind and the rain, the gales and the beautiful, beautiful names: Uist, Cuillin, Benbecura, Skye. I can't help but think Rose chose well when she settled on a place in which to heal. This is a story about dealing with grief and betrayal, about the constant battle against despair and the brutalities of the mind, about finding love and deciding to believe in your ability to keep it. I was completely won over by Emotional Geology and cannot recommend it highly enough. I was sold at Rose being 47, but that passage... Looks like its hauntingly atmospheric writing and who can resist Scotland? I was lucky enough to spend a week there once, driving from small town to big city. I think I need this book. Thanks also for linking to The Book Depository - US readers' best way to get hold of a copy. The Book Depository ships free worldwide. I think the US is a tad more enlightened about mature and powerful women. In the UK it wasn't that long ago we were burning them at the stake. Things move at a slower pace here. Emily, I think you really might fall in love with this one the way I did. It's so different from the same old stuff out and it sort of defies genre. I <3 it. Holly, you do need it. We will rectify that problem shortly. :) Also, I wish I'd been in Scotland with you. We went while I was on study abroad and I fell instantly in love but didn't have nearly enough time to explore. Linda, thank YOU for sending a copy my way. And I definitely "got it". I got it in the chest with the force of a punch. :) I wanted to make sure to link somewhere people could quickly order a copy. The Book Depository is lovely that way and I've always had quick and efficient service from them. thanks for linking to my review! The author was a wonderful interviewee, also. One thing I enjoyed about this book was definitely the conversations between Rose and Calum. So real. Thanks for the intriguing review Angie. I'm curious about this one now but still a little hesitant since I've had to deal with some family members who have mental health issues and it's a subject that hits a little too close to home sometimes. Especially when I feel like the character's issues are only resolved superficially. But that doesn't seem to be the case here I'm guessing. Valerie, my pleasure. And I completely agree. I was absorbed in their conversations. I just let the words flow over and around me. Hi Michelle, I'm the author of EMOTIONAL GEOLOGY. I hope I can say with some confidence that the issues in EG aren't resolved superficially as the book was a response to my own diagnosis of mild bipolar. I found it very difficult to get information and there was nothing much that was positive out there. So I researched & wrote the book I needed to read. A reader came up to me at an author event, clearly worried, and said, "My daughter has just been diagnosed as bipolar. Would it be safe to give her this book to read?" I said yes, because the message is very positive, without pulling any punches. It's a book about hope, empowerment and the enormous difference love and support can make to the mentally ill. Thank you for linking to my review, which doesn't compare to your lovely tribute. I just adore this author because her work is just so sui generis in addition to being so much smarter than the average fiction. What a rare delight in today's book-saturated world! My only regret is that publishers won't seem to let us see more of her! Rhapsody, you're most welcome! It really is smarter and smoother than so much of what's out there. That's why she deserves more publicity and certainly exposure in the US!